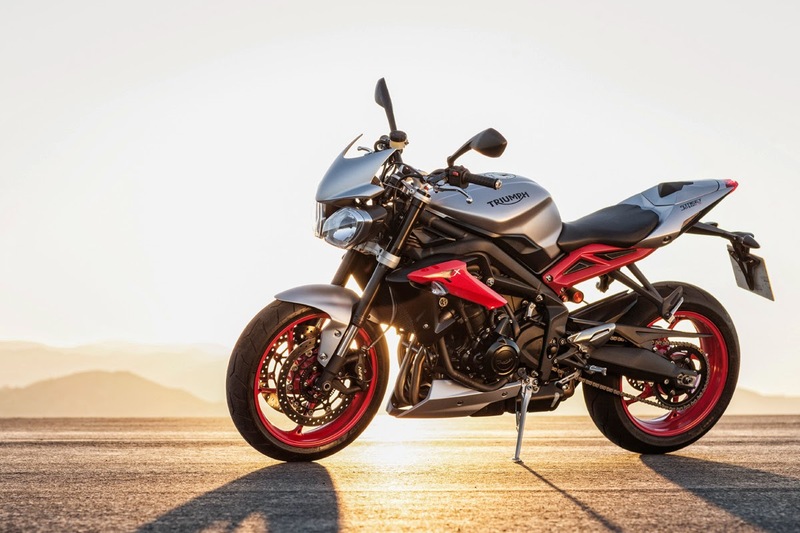 First up is the Triumph Street Triple RX. It costs £8,549 and gets the Daytona 675's rear subframe and seat, a quick shifter, Nissin radial 4-piston brake callipers, lightweight wheels and a new paint job. 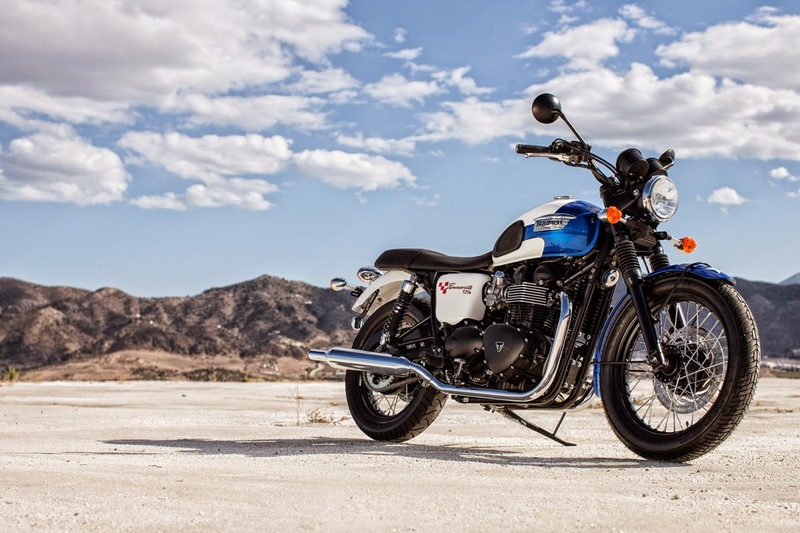 The Triumph Bonneville T124 is limited to 1,000 units and is a homage to Johnny Allen and his 1956 land speed record of 214.4mph at Bonneville Salt Flats. It costs £7,849 and is pretty much limited to a unique paint scheme. 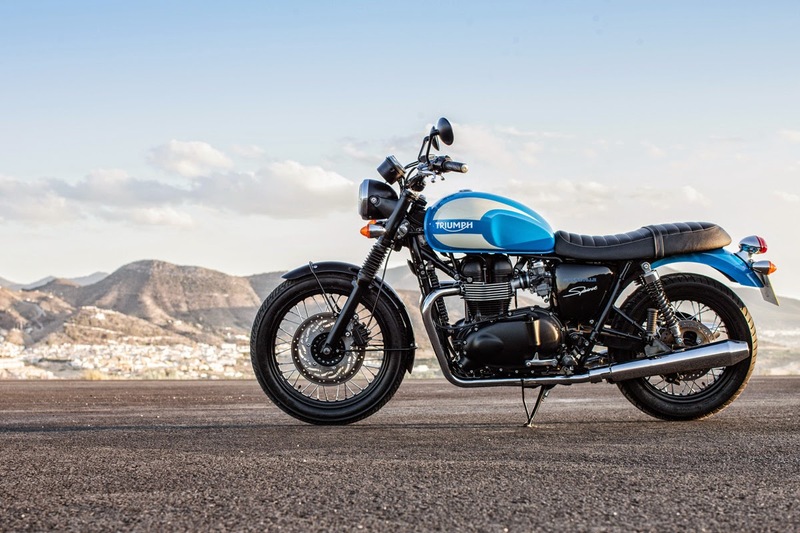 The Triumph Bonneville T100 Spirit costs £7,499 and gets a blue and white painted fuel tank and matt black where there would normally would be chrome. It also has the smaller headlight from the Scrambler and the shorter rear mudguard from the Thruxton. 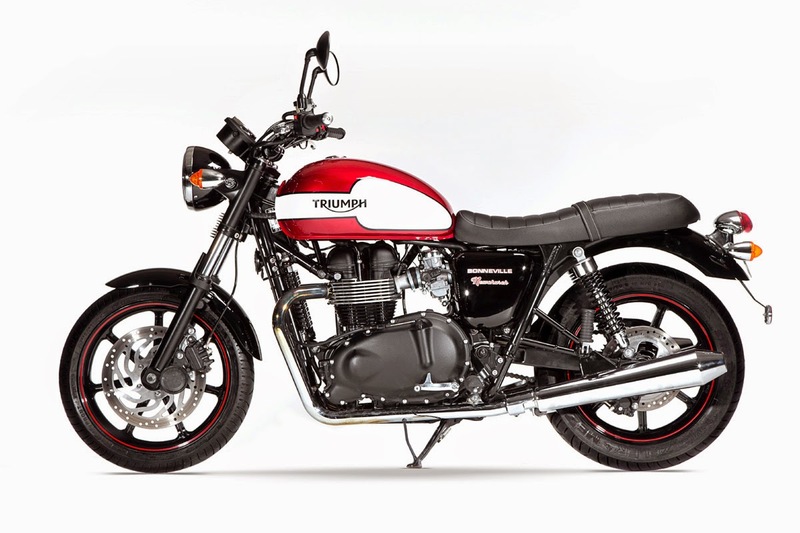 The Triumph Bonneville Newchurch is named for a town in Austria which hosts an annual Triumph get-together and party - the largest in the world. The Newchurch gets a snazzy red and white paint scheme on the tank and matt black components and frame.